Shortly after the arrest of the people in hiding, everything was removed from the Secret Annex. 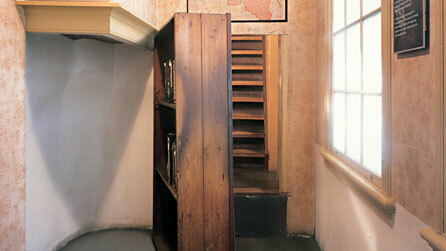 When the hiding place became a museum years later, Otto Frank wanted the rooms to always remain unfurnished. In order to show how the Secret Annex looked during the hiding period, small scale models have been made and are on display in the Museum. The back section of the floor was used for storing spices. The windows were painted over because spices can go bad when exposed to sunlight. The Annex was not visible from anywhere in the front part of the house. The moveable bookcase conceals the entrance to the Annex and was specifically constructed for that purpose by Bep Voskuijl’s father. The windows of the landing were covered with dense semitransparent glassine paper. This hid the back part of the house from view. The descending staircase (which is now sealed off under glass, leads to the Offices). These stairs were used by the helpers to bring the people in hiding food and whatever else they needed. Now our Secret Annex has truly become secret. Mr. Kugler thought it would be better to have a bookcase built in front of the entrance to our hiding place. Now whenever we want to go downstairs we have to duck and then jump. Otto and Edith Frank slept in the same room with their daughter Margot, while Anne slept in a room with Fritz. On the wall of Otto’s room hung a map of Normandy. After the Allied Forces landed there, Otto Frank tracked the progress of the invasion by marking this map, which is still there today. Next to it are pencil marks that indicate how much Anne and Margot grew during this time in hiding. “This is the Day” came the announcement over the English news at twelve o’clock. The invasion has begun! English parachute troops have landed on the French Coast. Great commotion in the Annex! Would the long awaited liberation ever come true? Anne shared a room with Fritz Pfeffer. Anne regularly sat at a narrow table writing in her diary. She pasted all kinds of images onto the wall of her room to make it more cheerful, including postcards of the Dutch Royal Family and the English Princesses Elizabeth and Margaret. An Advertisement for Opekta, Otto Frank’s company, is hanging by the window. During the day the people in the Secret Annex had to use the toilet and sink as little as possible. The water and drainage pipes ran through a wall in the warehouse, where the workmen did not know there were people hiding in the building, there was a fear they would hear the running water. Our little room looked very bare at first with nothing on the walls, but thanks to Daddy who had brought my film-star collection and picture postcards on beforehand, and with the aid of a paste pot and brush, I have transformed the walls into on gigantic picture. This makes it look much more cheerful. Margot and mother are nervous. “Shh… Father, be quiet, Otto Shh.. Come here you can’t run the water anymore. Walk softly!” A sample of what’s said to Father in the bathroom. At the stroke of half past eight, he has to be in the living room. No running water, no flushing toilet, no walking around, no noise whatsoever. The bedroom of Hermann and August van Pels was also used as the common living room, where the people hiding spent most of their time. Cooking, eating, studying and exercising all happened here. On display in the museum is a menu from a Secret Annex dinner, held in celebration of the first wedding anniversary of Jan and Miep Gies. With the limited means at their disposal, the people in hiding still prepared a festive meal. As the war progressed, it became much more difficult for the helpers to supply the eight inhabitants of the Secret Annex with food. As of tomorrow, we won’t have a scrap of fat, butter or margarine. Lunch today consists of mashed potatoes and pickled kale. You wouldn’t believe how much kale can stink when it’s a few years old! Peter van Pel’s room was a very narrow space with stairs that lead to the attic, which was used for storing food supplies. Anne and Peter spent a lot of time in the attic. It was the only place where they could really be alone. From here, they could also get a glimpse of the Chestnut Tree. Yesterday was Peter’s birthday. At eight o’clock I went upstairs and looked at the presents with Peter. He received a Board Game, a Razor and a Lighter. On August 4, 1944 , the German Sicherheitsdienst (Security Police) received an anonymous phone call: “There are Jews hiding at 263 Prinsengracht.” The hiding place was betrayed. Extensive investigations after the war have still not revealed who was responsible for the betrayal. The eight people in hiding and the helpers Jo Kleiman and Victor Kugler were arrested and imprisoned. The Nazis did not arrest the helpers Miep Gies and Bep Voskuijl. Jo Keiman and Victor Kugler were imprisoned in Amsterdam and transferred from there to Concentration Camp Amersfoort. All the helpers survived the war. Hermann van Pels was gassed at the Auschwitz extermination camp in September or October 1944. Fritz Pfeffer fell ill and died of exhaustion on December 20, 1944 in the concentration camp at Neuengamme. 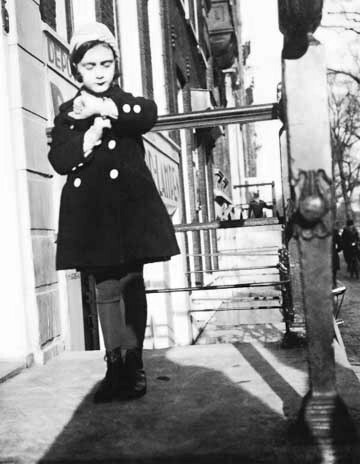 Edith Frank became ill and died of exhaustion of January 6, 1945 in Auschwitz. Margot Frank contracted typhus and died in March 1945 in the Bergen-Belsen concentration camp. 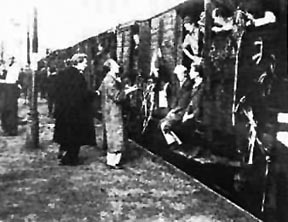 Auguste van Pels died in April 1945, while being transported from Bergen-Belsen to the Theresienstadt concentration camp. Peter van Pels died on May 5, 1945 in the sick-bay barrack of the Mauthausen camp. Otto Frank survived the Auschwitz extermination camp. Anne Frank also contracted typhus and died just a few days after Margo in March 1945 in Bergen-Belsen. 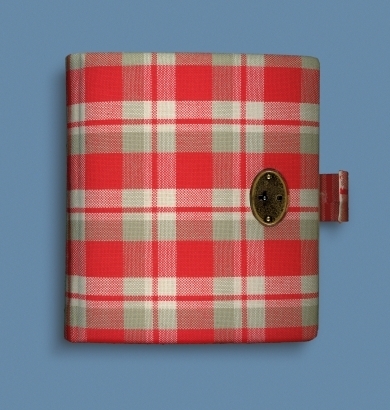 The museum has on display the original red plaid diary, which Anne received on her thirteenth birthday. Once she had filled this diary, she continued writing in notebooks. Later on, Anne used loose sheets of paper on which she edited and reworked her diary. She hoped to publish a book after the war about her experiences in the Secret Annex. After the arrest of the people in hiding, Miep Gies and Bep Voskuijl went upstairs to look in the Secret Annex. There they found Anne’s red plaid diary, notebooks and loose sheets of paper filled with her words. Miep Gies placed all these writings in her desk for safekeeping. After the war, once it was clear that Anne had died in Bergen-Belsen, Miep gave everything to Otto Frank. I hope I will be able to confide everything to you, as I have never been able to confide in anyone. and I hope you will be a great source of comfort and support. Otto Frank returned to Amsterdam in June 1945. After some time had passed he decided to publish the diary of his daughter Anne; the diary that had been left behind in the Secret Annex after the arrest. 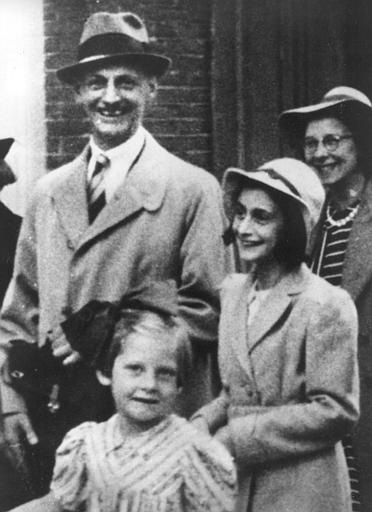 Otto Frank remarried in 1953 and went to live with his second wife, Efriede Markovits, in Basel (Switzerland). 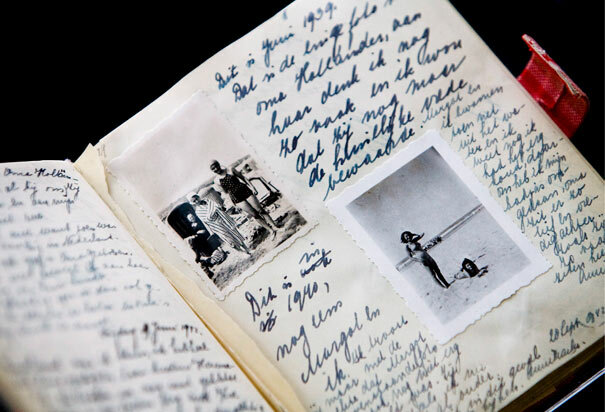 He entrusted the rights to Anne Frank’s diary to the Anne Frank-Fonds, also located in Basel. Otto Frank died in 1980 at the age of 91. Otto Frank was actively involved in making the Secret Annex accessible to the public as a museum. Besides this, he devoted himself to bringing people together and fought for human rights. 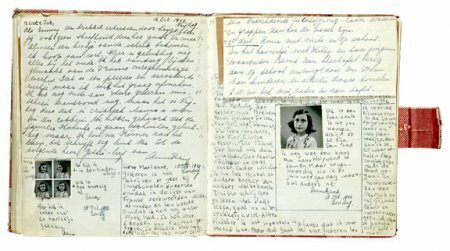 After his death in 1980, the Anne Frank House carried on with this work. Still, the Anne Frank House is not just interested in the past. Prejudice, discrimination and violations of human rights continue to occur all over the world today. The Anne Frank House continues to focus on educational activities to counter these issues world wide. Whether your 20, 30, 40 or 80, this is a part of the worlds history that we can not forget. Through Anne Franks writings we can actually close our eyes and see ourselves in this place, in this time and feel the pain that her family, friends and confidants went through. To never forget that atrocities like this do take place, that we can do something about it. I was quite excited to go to the museum, mostly because we all know the importance of the Anne Frank Diaries, the importance they have played in world history. The excitement I felt in line, waiting to enter was quickly dispelled and replaced with a feeling of smallness, of insignificance. The House that Anne and her family and friends worked and lived in is not exactly small, but walking through each and every room, reading about what took place in that room, made me realize that I was in a place of historical importance that I didn’t take serious enough. At the end of the museum is a number of video screens showing interviews with Otto Frank, Miep Gies and others who had first hand knowledge and interaction with Anne Frank and her family, this is where you put it all together, how senseless it was that millions of people died at the hands of a madman all based on the sole fact that they were Jewish. One video in particular had a story being told by a woman who tried to get food to Anne while she was in a concentration camp, the women threw a small amount of food over the fence, only to have it stolen by some other person, who was also starving. The women never saw Anne again. After walking out, wiping away the tears and finding myself feeling very sober and somber I realized that this is one place everyone should visit, whether your Jewish, Christian or Muslim, the only way to keep things like this from happening again is to make sure that every person on our planet knows the truth, will that happen? I don’t know, but I can hope. 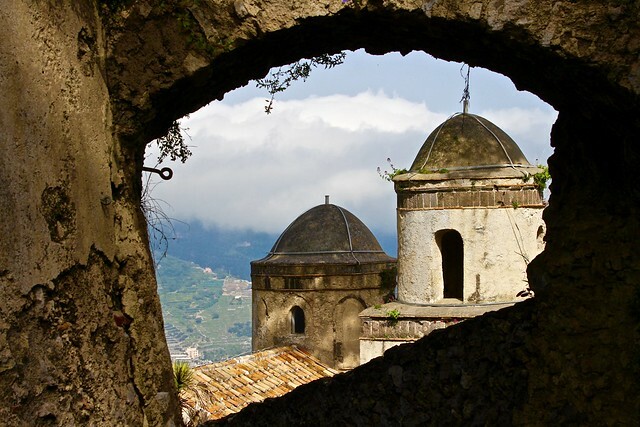 Like I said at the beginning of this post, history is all around us when we are traveling to places we have never been, stop and take the time to learn about that history, it could make a difference in this world. I have been to many museums throughout the world, looking at beautiful art, masterpieces that could never be replaced, which pull emotions out of me. The Anne Frank House has no art, no masterpieces, only a story. A story of life, dreams, hopes and betrayal. This is the only museum that I have visited that pulled tears from my eyes, this is why you must be sure to visit this museum if your in Amsterdam. This one get’s one of those rare “Seal of Approval” from me. I have been browsing online more than 3 hours today, but I never found any fascinating article like yours. It’s beautiful worth enough for me. In my opinion, if all webmasters and bloggers made just right content material as you did, the internet can be a lot more useful than ever before. I’m not sure where you are getting your info, but good topic. I needs to spend some time studying much more or understanding more. Thank you for wonderful info I used to be looking for this info for my mission.